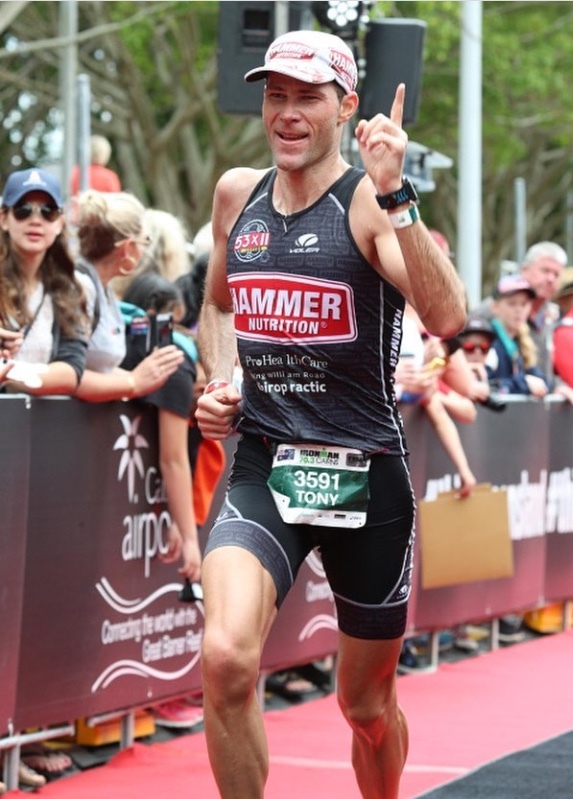 Gatorade Triathlon Series, Murray Man, Endurance Team, Geelong Triathlon Coaching, Melbourne Triathlon Club, Adelaide Triathlon Club, Corinne Abraham, Michelle Wu, Jesse Featonby, Michelle Bremer, Brian Fuller, Nicholas Hull, Luke Gillmer, and Grant Preddy, choose to use Hammer Nutrition. 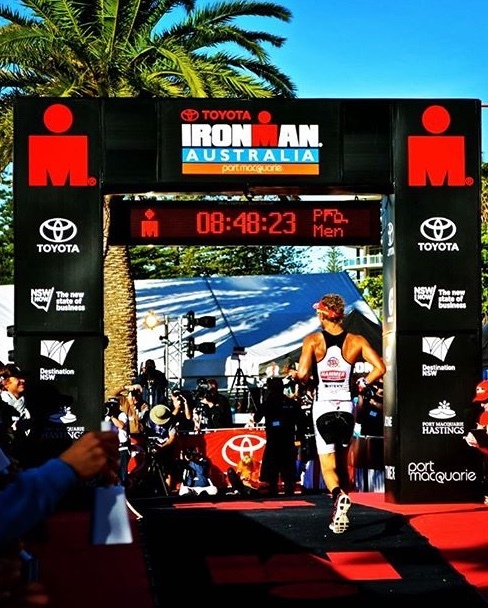 Triathletes demand a high level or performance from their bodies. 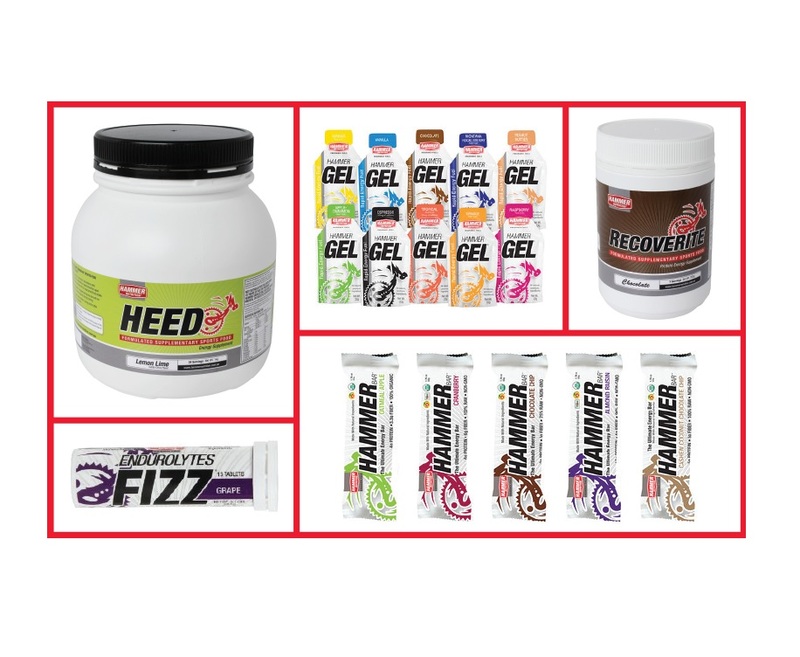 Their Sports nutrition needs to supply the best possible ingredients in the right format to meet the athlete’s requirements. 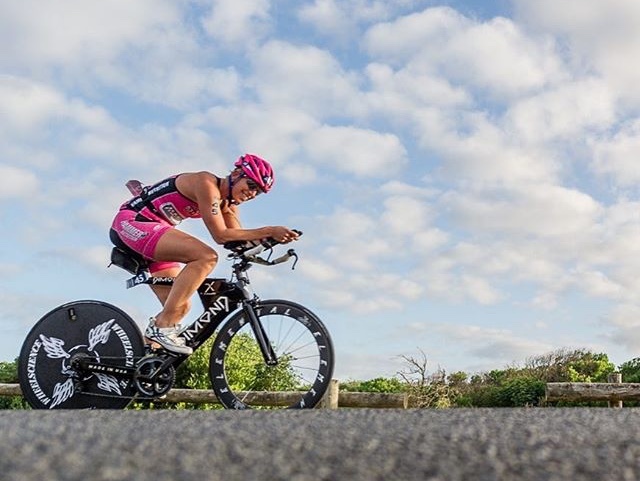 If you are looking for the leading proven Endurance fuel for Triathletes in the world, your search is now over. 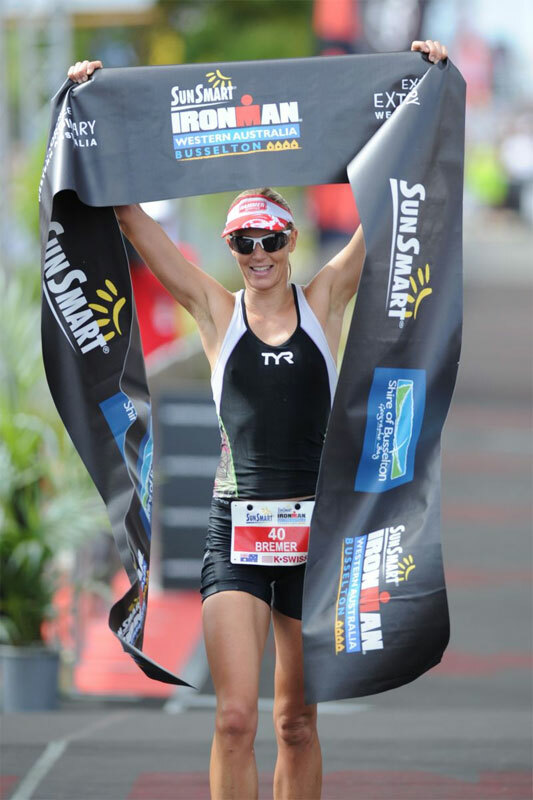 “Nutrition has always been my downfall when racing, as I had struggled to find a product that worked for me. If you are a long distance Triathlete, the importance of your choice in nutrition is vital to success. Failure to address this from day one will no doubt be a recipe for disaster. Many Triathletes focus on the relentless pursuit of training hour after hour, day after day and neglect the importance of nutrition. If they spent a small percentage of that time learning how to fuel they would ensure their training is not wasted through bad choices in nutrition. These are the 6 basic topics you should know about your nutrition. Take 15 minutes to read this information and you will be well prepared to make some crucial decision that will better your performance. 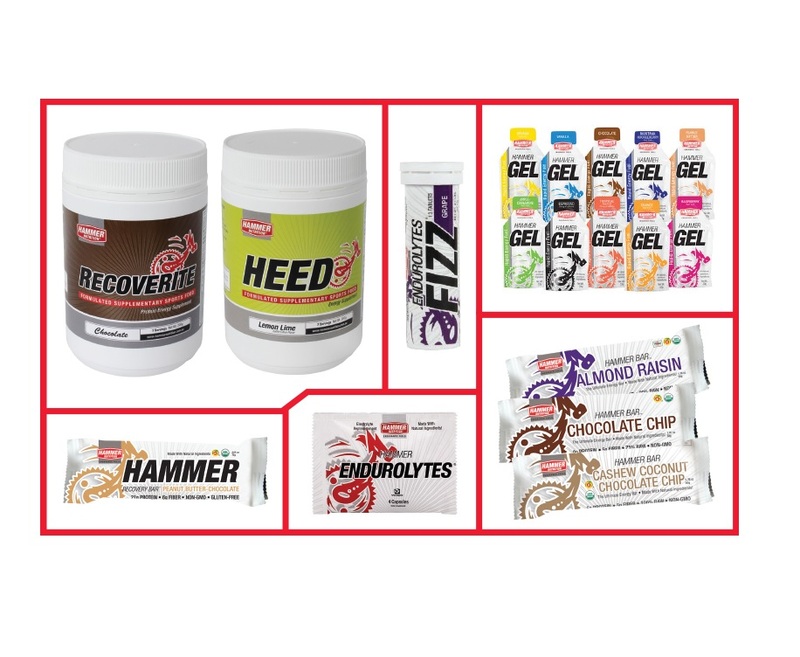 For far more detail we strongly suggest that you read the bible of Sports Endurance Nutrition. Once you have this information you can then make a better informed choice. Many athletes make the vital mistake of thinking that they have to consume and train with what is available to them by the Sponsor of the event. As we know, the nutritional sponsor of many Ironman events is one who pays the most money, with little concern for quality of the product. Ensure you make a wise decision before embarking on this route. Quiet often the event product is mixed by volunteers who have little knowledge of concentration levels. This can have a dramatic effect on your performance if mixed wrong. Our advice is to always know exactly what you are putting into your body. The longer the event the more important it is to get your nutrition right. It also becomes increasingly important to add protein into the fuel mix, and consistently consume extra electrolytes. 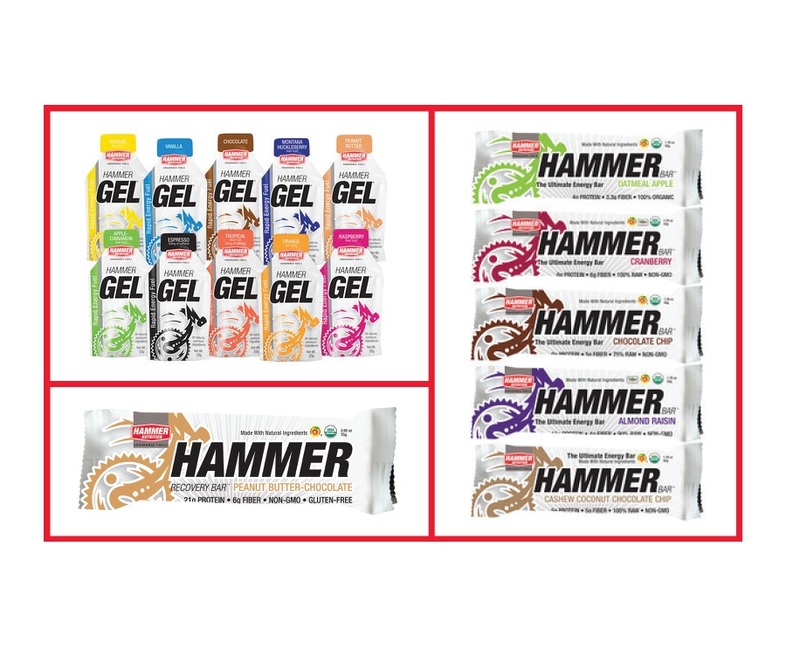 All of Hammer Nutrition’s during Fuels are acceptable for use. We do have preferences for the different legs of the events. Both these fuels can be mixed into a multi hour bottle (3-5Hours). This makes them ideal for the bike. You can consume the relevant % of the bottle per hour which is the only nutrition you will require, plus your hydration (water) per hour. Both products contain Protein. The major difference is Perpetuem contains Lipids (type of fat). 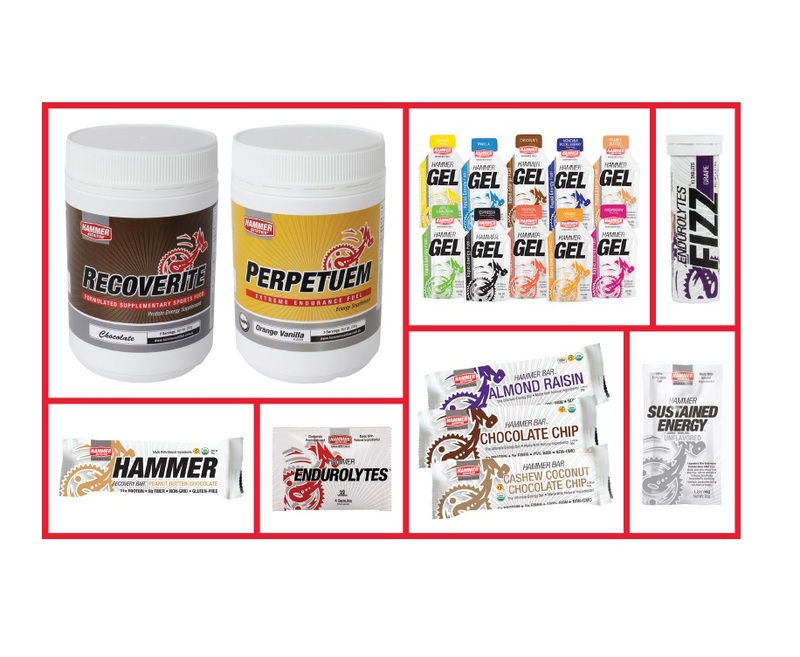 Generally Perpetuem is our first choice and will suit most Triathletes. Sustained Energy will suit the smaller leaner athletes which are able to maintain a higher heart rate. TIP – on the bike separate your hydration from your nutrition to stop confusion. (Have 2 water bottles). You have a couple of options for the run. Hammer Gel and Perpetuem Solids. TIP – The best way to use Hammer gel is to purchase a bottle (26 gels) and mix it into a small flask carried in a fuel belt. A small amount of water can be added to dilute the gel ensuring easy consumption. Several flasks can be carried. Once you have started the run and into the final stage you still need to ensure you consistently consume electrolytes. Do not forget. Avoid foods which are hard to digest, high in saturated fats and refined sugars etc.